It’s time to adopt a new furry family member and you head to the shelter to meet the available dogs. 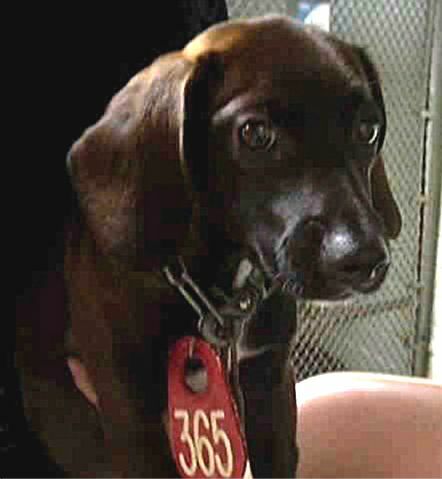 Wide-eyed pups wag their tails furiously while they wait in their crates, hoping for a second look and a forever home. You decide on the perfect dog for your family but feel a little sad for the ones left behind. What if you knew some of those dogs are passed by more often than others, and they tend to be the ones with dark coats? That’s the sad reality photographer Fred Levy learned about one day at his local Boston-area dog park while chatting up another park-goer. 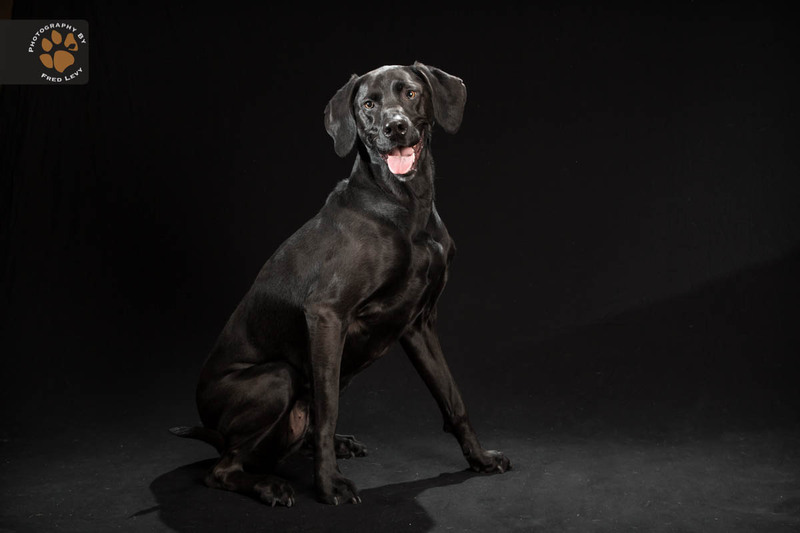 It’s a phenomenon that’s been dubbed Black Dog Syndrome (BDS); black dogs tend to sit in the shelter up to four times longer than their lighter-haired counterparts. It couldn’t be true, he thought. Levy started doing some research and had a hard time finding good pictures of black dogs listed on shelter websites. The dogs’ faces were hard to make out, which is a major contributing factor to BDS, along with dimly-lit kennels. He thought better-quality photographs could make a difference. 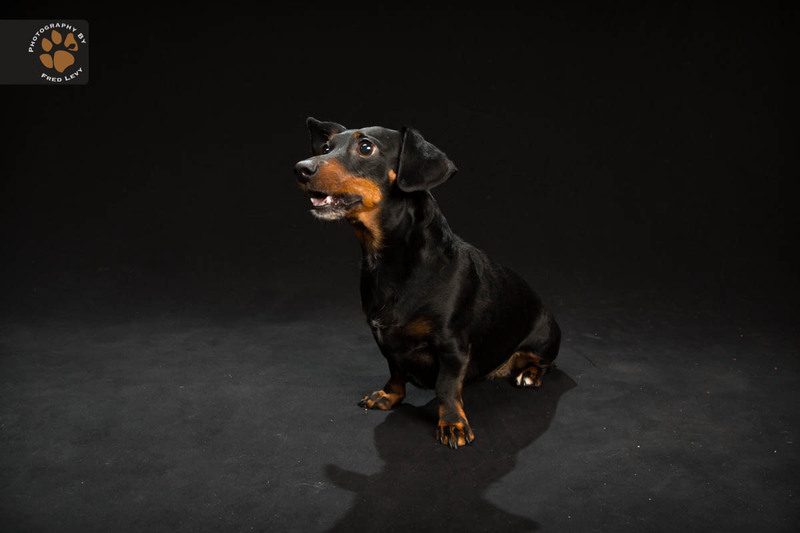 Darker shelter dogs can be overlooked online due to an unflattering photo. 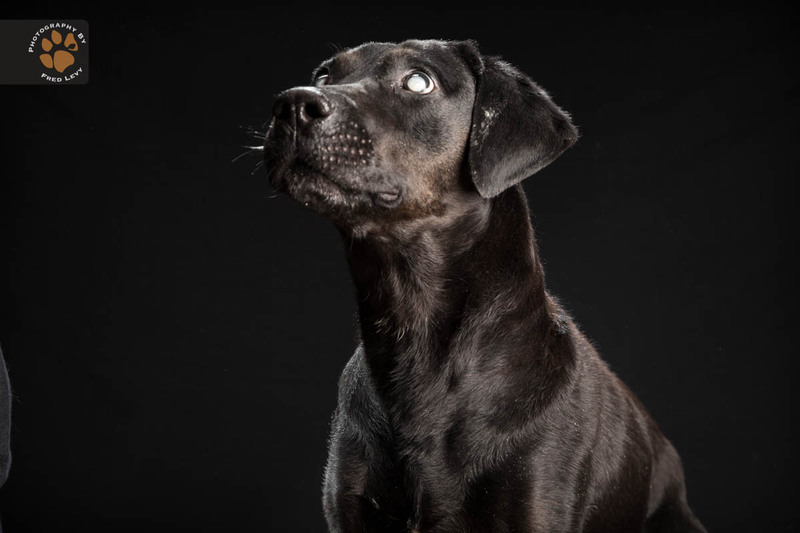 Levy started photographing black dogs against a black backdrop in his home studio to bring out their features. 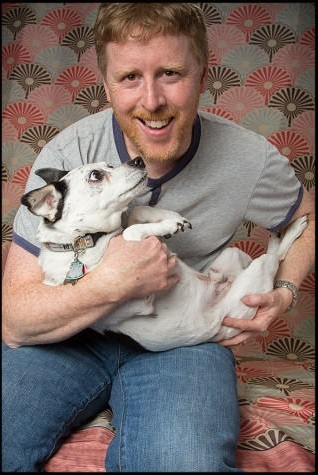 He dubbed the photo series the Black Dogs Project, and it resonated with a lot of people. The Black Dogs Project went viral after an article was published on Huffington Post and now a book is in the works. The book will feature roughly 55 black dogs and will be published next year. Levy has received an overwhelming response from people wanting to be included in the project. But Levy does not respond to those who might turn BDS into a race issue. He hopes the project will help people see beyond insignificant factors when adopting a dog, such as the size of the dog or the color of their coat. Fred Levy is a Boston-based photographer. He graduated from the School of The Museum of Fine Arts in 1999 and has been shooting fine-art photography, flipping between film and digital, since 1993. His extensive knowledge of technology and his darkroom experience allow him to create unique and exciting work. He is a father of two boys and one canine, Toby. This entry was posted in K9 News and tagged Black Dog Syndrome, black dogs, Black Dogs Project, Fred Levy, rescue dogs, shelter dogs by jaqbennett. Bookmark the permalink.